Dress up for Oktoberfest! 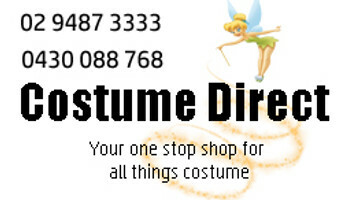 Costume Direct's Oktoberfest costumes come with fast shipping from Sydney Australia! Join the Oktober-festivities this year and celebrate the hugely popular and world-renowned German beer festival! Established in 1810, when Crown Prince Ludwig married Princess Therese of Bavaria, it is a tradition born out of love, and today, over 6 million people flock to the meadows of Munich, Bavaria to partake in the celebrations! Today, Oktoberfest parties take place all over the world - so for your next Oktoberfest event, why not don one of Costume Direct's lederhosens or beer girl costumes? You'll fit right into the German bar scene! We also have beer bottles, mugs and German flag morphsuits, plus a huge variety of Oktoberfest accessories and props - from hats to suspenders and German decorations! So order now for speedy delivery to anywhere in Australia in time for October! You’ll be delighted by the quality and range of our Oktoberfest costumes and accessories!